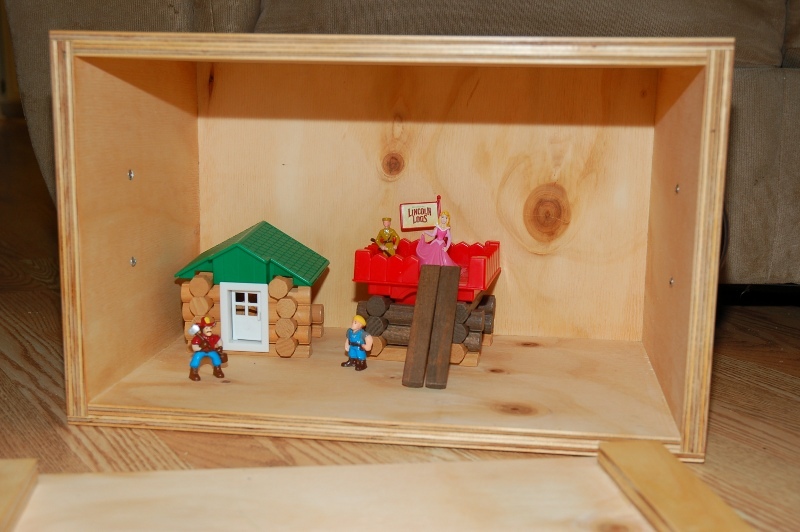 My kids received a Lincoln Log set for Christmas and promptly set about destroying the metal container it came in. 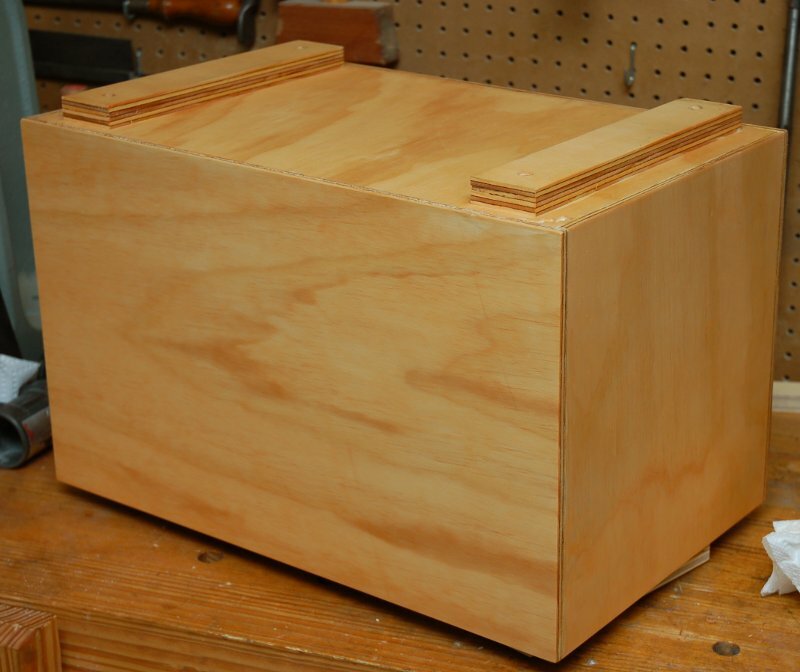 To keep from losing all of the pieces I decided to make a plain plywood box for them to store the logs in. 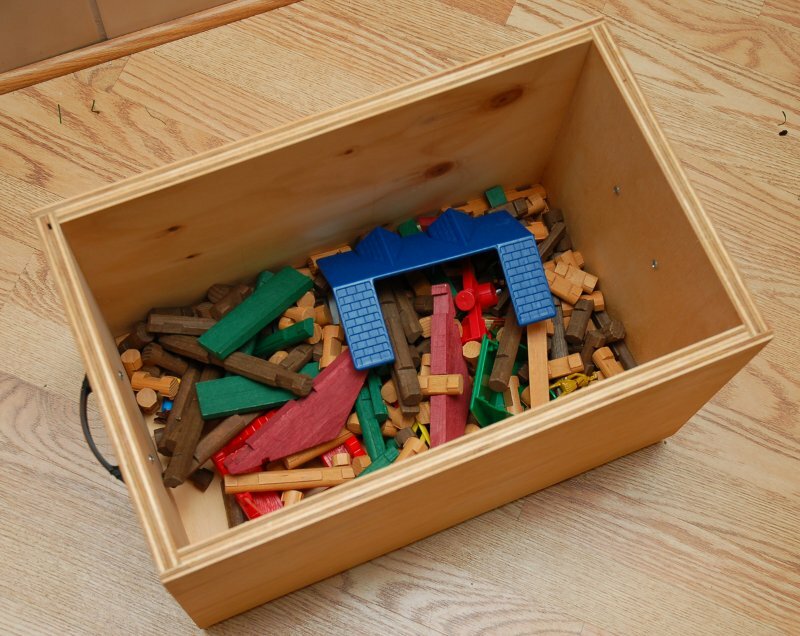 The requirements of the box, other than holding toys, was to survive without being destroyed. To this end, it was kept very plain as I figured any decorative bits would just get torn up. I decided to make the box out of half a sheet of 3/4″ (ok ok 23/32″) plywood sitting around that had been given to my by a friend. I didn’t draw up any plans for the box other than a quick sketch. I decided that it should be 19.5″x12″x12″ without the lid. 19.5:12 corresponds to the Golden Ratio which is said to be ascetically pleasing. The 12″ of height seemed like a nice round number. 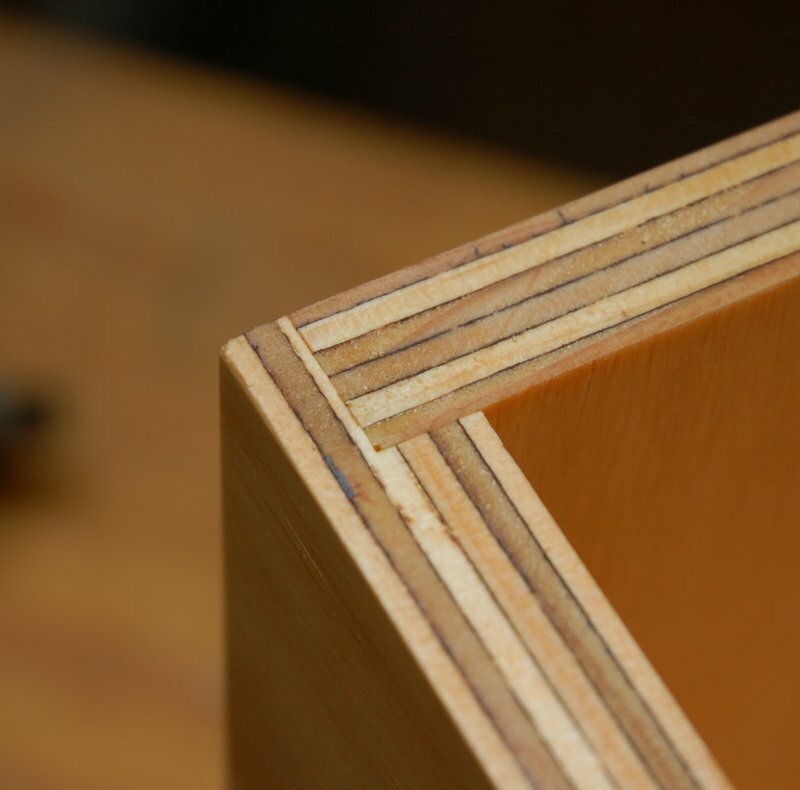 As for the corners of the box, I decided to use rabbet joints. To make things easy, only the front and back panels will have rabbets on multiple sides. The side panels will only have one rabbet. More on this in a few. The lid will not be connected to the box and only be held in place by gravity alone. The use of hinges would probably just result in them being ripped from the box and increase the chance of crushed fingers. Step one is to cut the front, back, and sides out. The front and back get cut to 19.5″x12″. The sides were cut to 12″x11.5″. 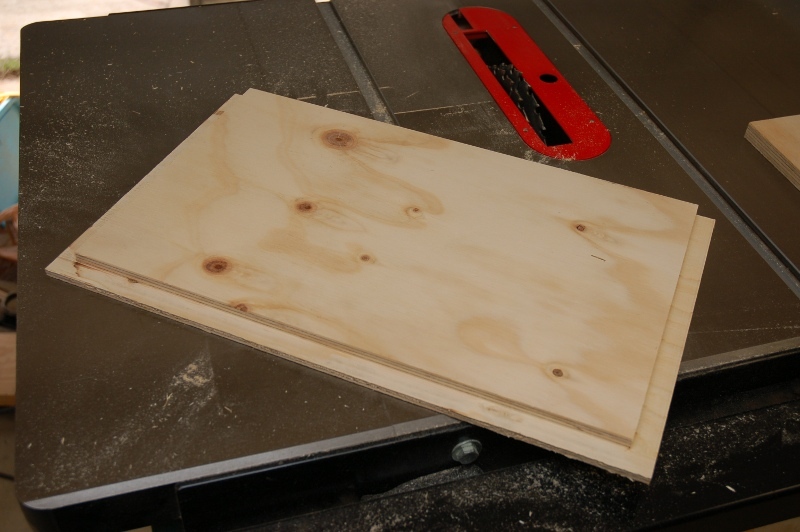 The side panels are cut to 11.5″ because of the rabbet joints. A rabbet joint first requires a rabbet to be cut. A rabbet is simply a cut into a board on the edge that doesn’t go all the way through. A rabbet joint makes a cut that is the width of the adjacent board. The less measuring in a project you can do the better. While this sounds odd, it’s actually pretty simple. As I mentioned before, the width of the rabbet needs to equal the thickness of the other piece of wood. While you could measure the thickness and then mark a line at that thickness, it is much easier and less error prone to lay the piece down and then use it as a guide to draw a line. After that, you can set your fence and start cutting the rabbet. 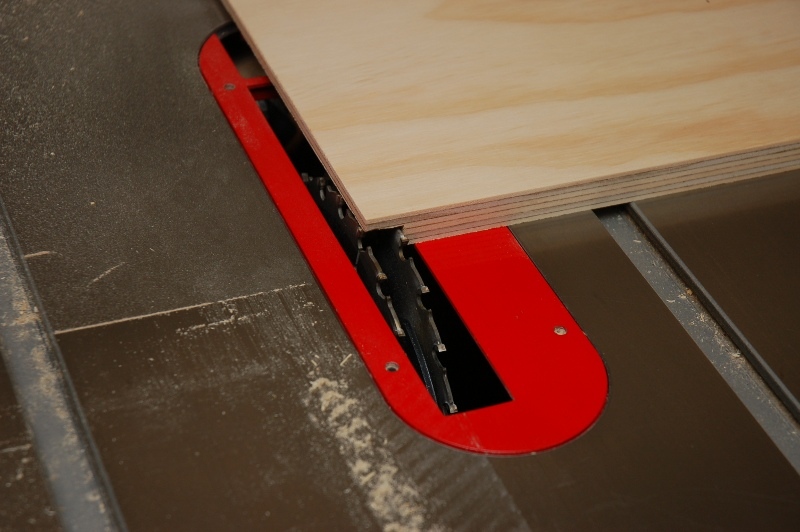 The use of a dado set for your table saw speeds this process up considerably. How much wood you remove, height wise, is up to you. You want to remove enough to get a good bond, but not so much that the board will be weak. I chose to leave 1/4″ of the thickness of the board remaining. 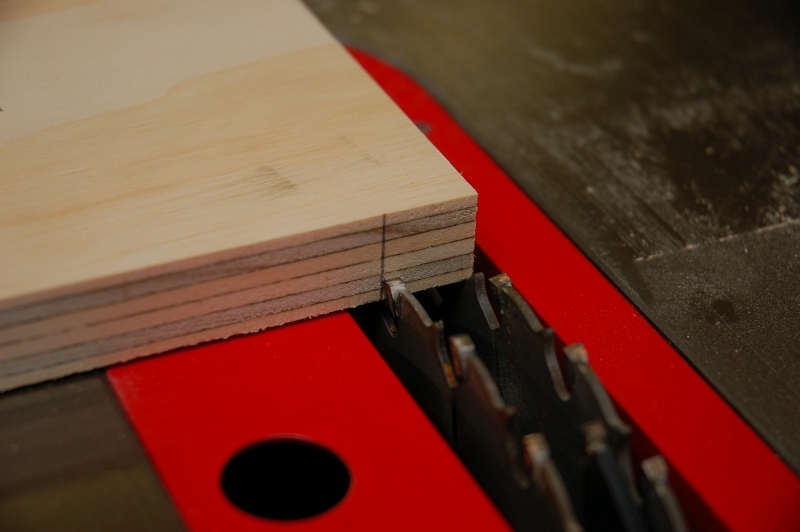 Depending on your saw, you ma need to make multiple passes to achieve the desired depth. 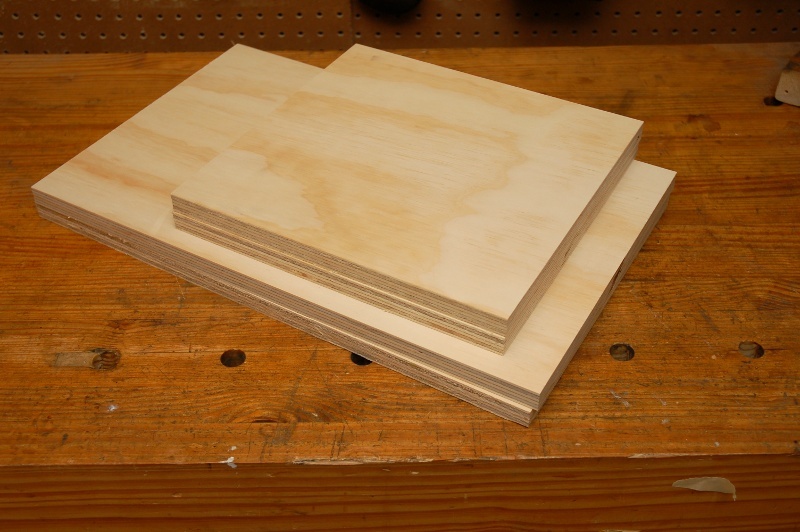 Here’s the board after being cut with the dado set. Once the pass is completed you’ll want to check how well another panel fits into the rabbet. If the corner is not flush, adjust the fence accordingly and make another pass. If the rabbet is too wide you can trim a little off of the piece with the rabbet. If it is not wide enough then move the fence in closer to the blade and make another pass. 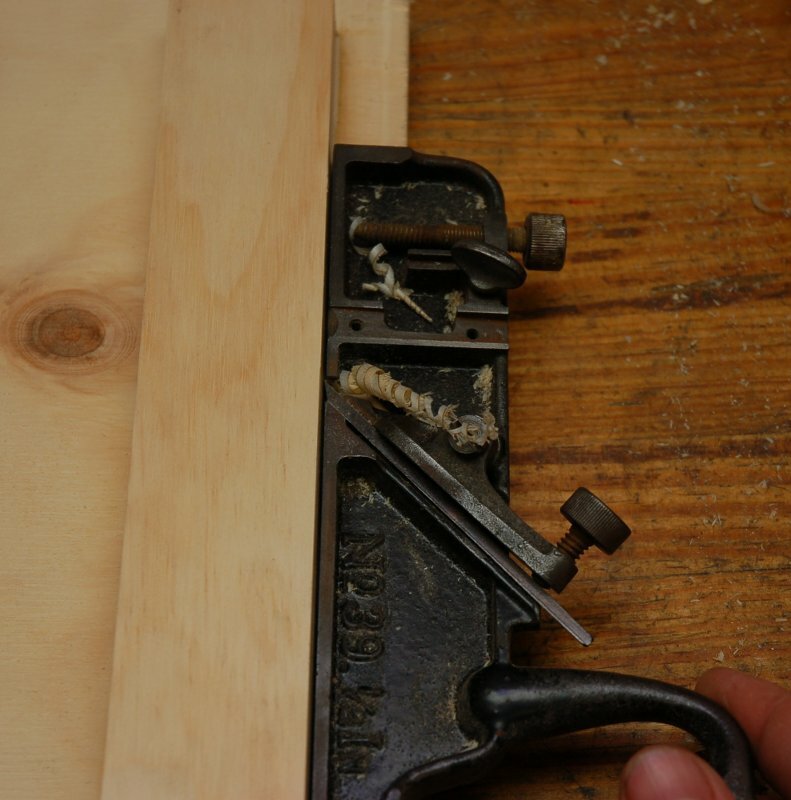 If you trim the overall width of the board make sure you do the same to the opposite side. Try to run as many passes as you can without moving the fence. For the front and back panels, this means cutting the left and right rabbets on each piece before cutting the bottom rabbets. Here’s a picture of the front or back panel with the rabbets on three sides. The edge on the top of the box doesn’t have a rabbet due to the lid design. The side panels each need one rabbet along the bottom edge for the bottom panel to recess in to. After all of the rabbet cuts are completed, the boards can be dry fitted to check for any issues. 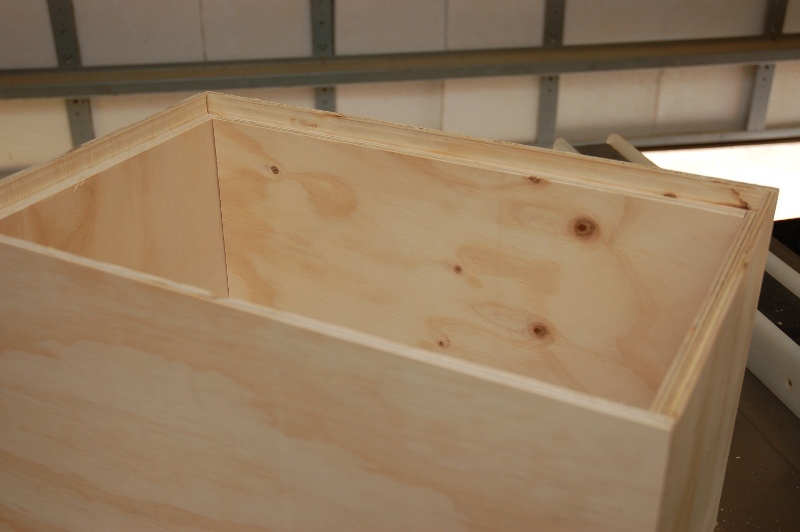 In the picture below, the panels are set up with the bottom edge facing up. I have a set of Bessy parallel clamps that came with these red hemispherical things that hold four clamps for clamping up cabinets. As shown below, two of the panels aren’t held up at the same level as the others. It’s a design flaw if you ask me. To solve this problem, just cut a small strip of wood to place below the lower panels. The panel doesn’t have to be held at exactly the right place though. Once the clamps are on with light pressure any misalignment can be corrected. While you can screw the joints together, I chose to use glue. Since the glue sets up relatively quickly, you’ll want to get everything into position before starting to glue. Then, as quickly as possible, get the glue on the panels and the boards clamped up. You’ll want to measure across the diagonals of the box to make sure the corners are all perpendicular. 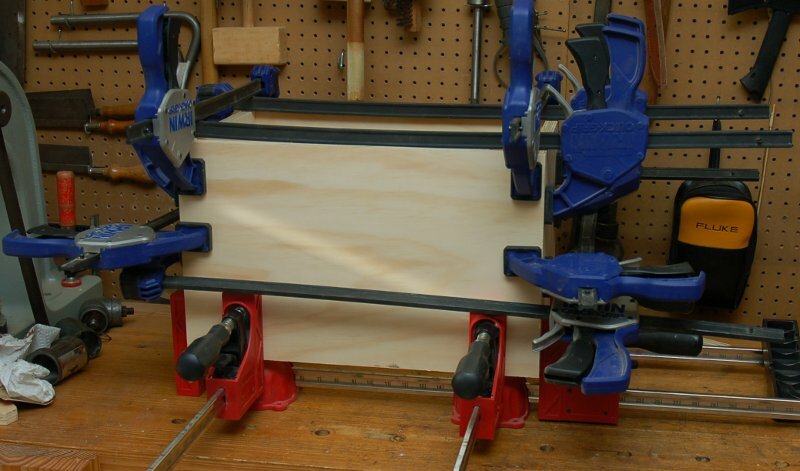 As you can see, you can never have enough clamps. 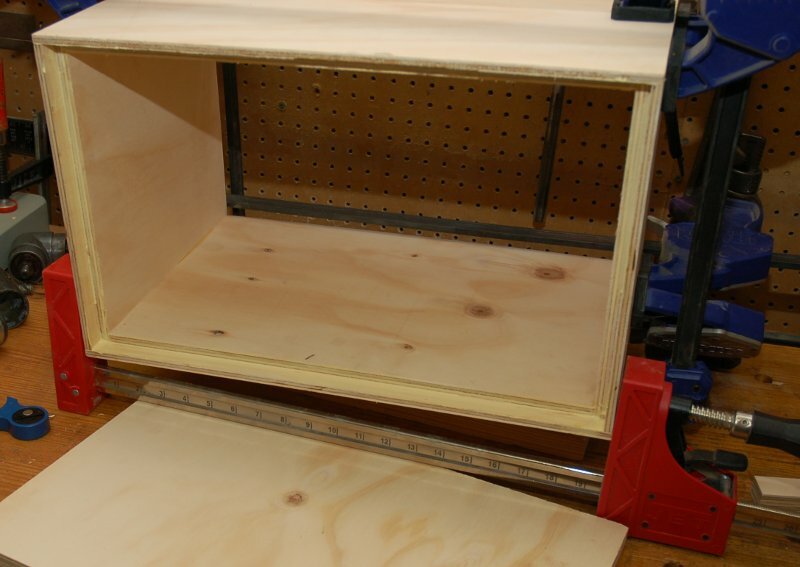 I waited about 20 minutes and then rotated the assembly over and removed some clamps to access the bottom of the box. This allows me to measure and cut a panel that is the exact size. If I’d cut the panel before and something was slightly off, the bottom panel might not fit. 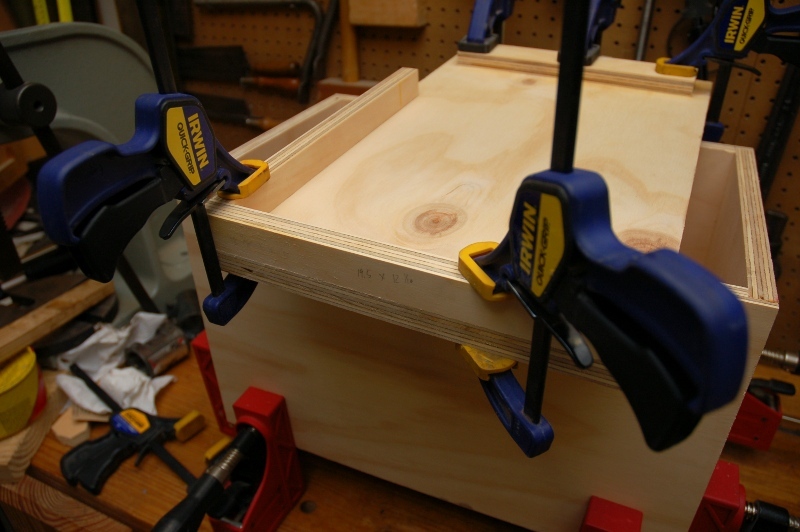 After the application of some more glue, the bottom panel was tapped into place and the clamps were put back on. 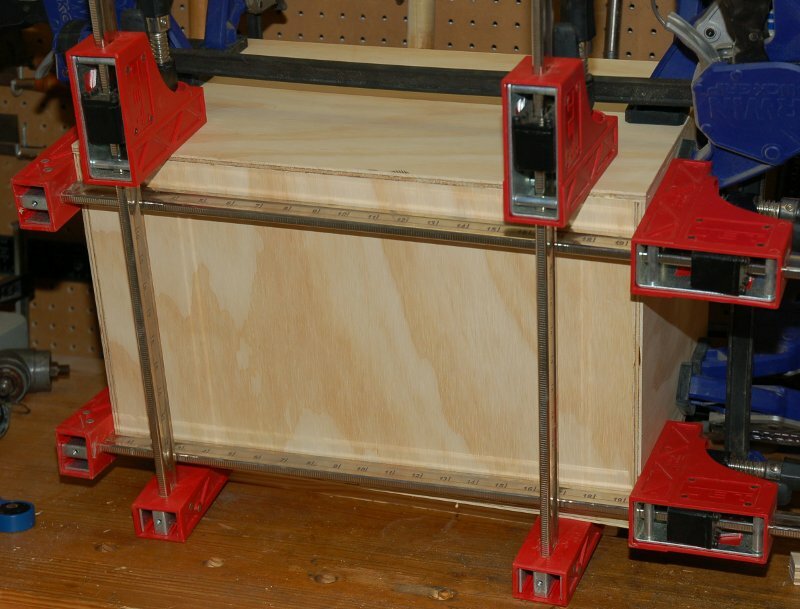 Judicious amounts of clamps makes for tight joints. Next, I turned my attention to the lid. Once again, measure and cut the piece like we did with the bottom panel. Since the top just sits on I wanted to have some pieces of wood to keep it from sliding around laterally. 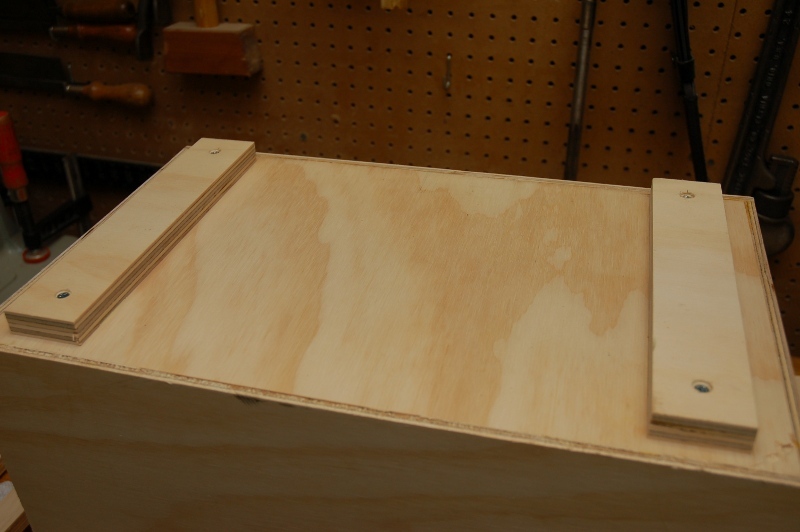 For this, I cut a piece of scrap into two pieces that were the height of the lid minus twice the thickness of the wood. After that, I used some more scrap to create a jig for locating the pieces of wood. They two were glued and clamping into position. For the bottom of the box, I chose to use a couple more pieces of scrap. These I glued and screwed them on since no one would be seeing them. Here are the piece being drilled. for the screws. The holes were also countersunk. 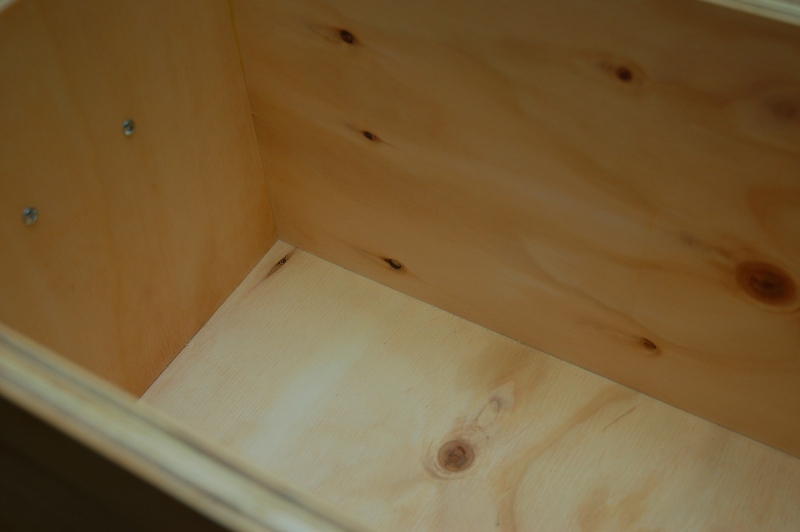 To attach the feet, I located the pieces where I wanted them and then used a screw through the drilled holes to mark the bottom of the box. I then used these marks to drill small pilot holes into the bottom of the box. Be sure to mark your drill bit with something, like a piece of tape, to make sure you don’t go through the bottom panel. Once I removed the clamps from the lid of the box, I found out that it didn’t fit well. It was close but didn’t slide into place like I wanted. A little bit of planeing on the pieces of wood I glued on cured this problem. Happy with the box’s progress so far, I turned my attention to sanding the box. I broke all the edges with some sand paper and then sanded the box with an orbital sander. Orbital sanders are great and I highly recommend one. 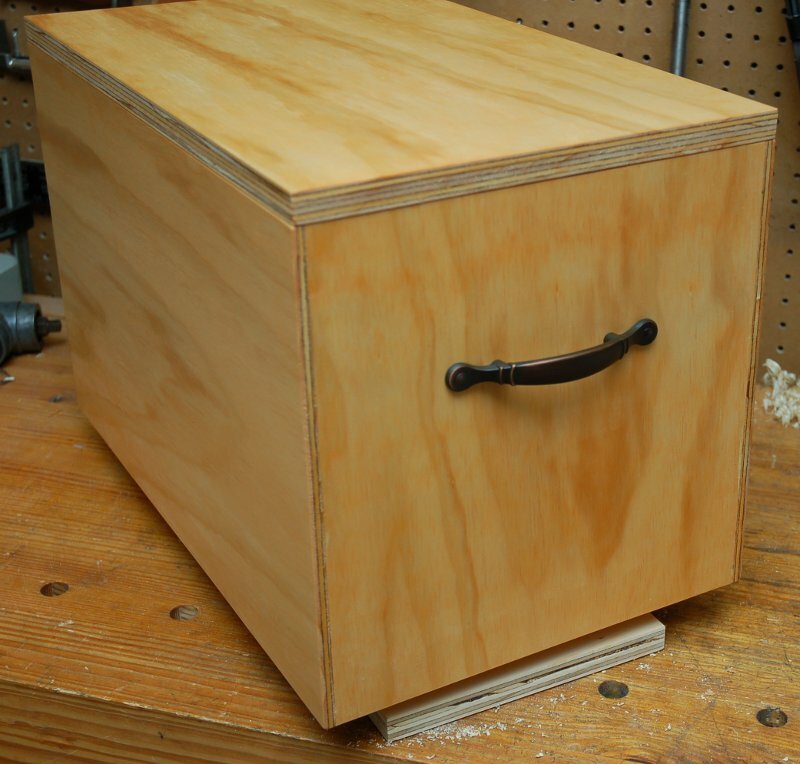 I wanted a simple finish on my box for the reasons stated at the top of the post. To this end I decided to stain it. 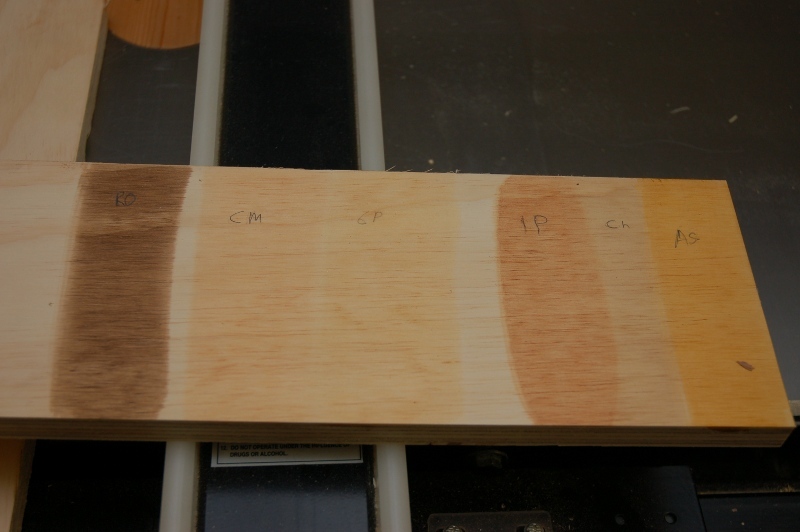 To determine what color I wanted to use, I tested different stains on a scrap piece of wood. I settled on the second color from the left. It is a Minwax stain called Colonial Maple. I happened onto Sears clearancing out a lot of stain a while back and have a lot of different colors. Here’s the box after a couple of coats of stain. At this point I decided that a couple handles might be nice. So, I marked out the location of the holes and then drilled for the screws that hold the handles on. 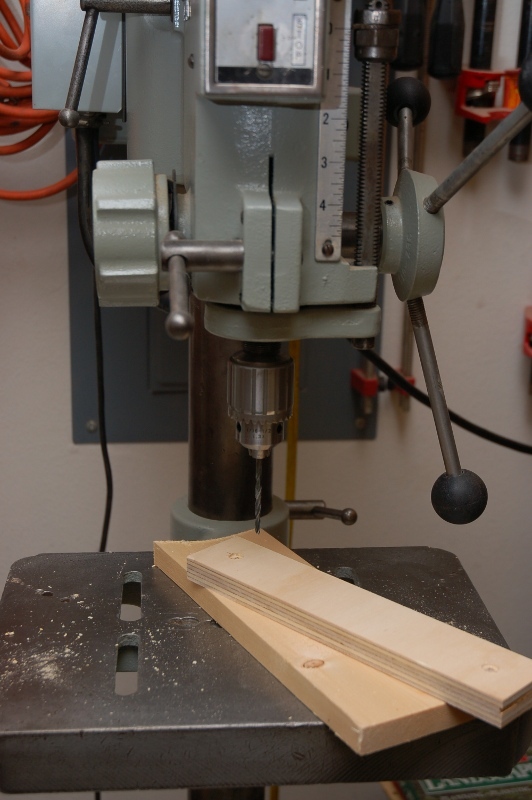 It would have been better to do this before assembly when I could have used the drill press. 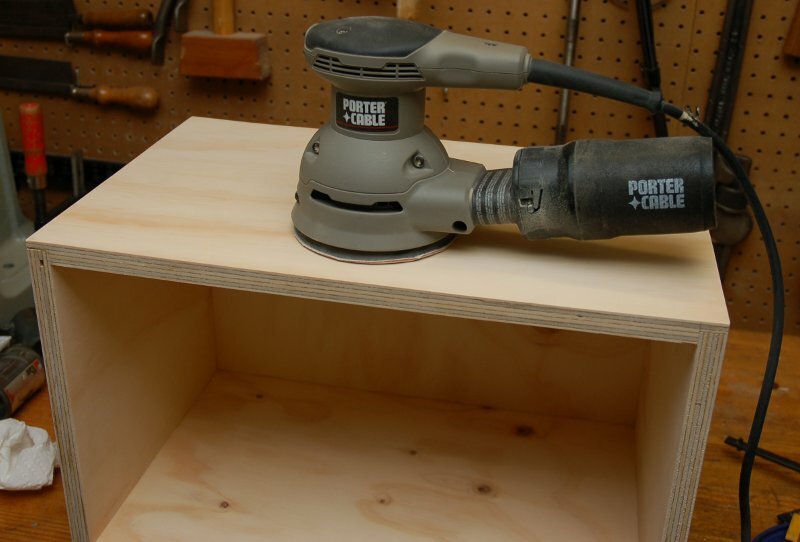 When drilling the holes, be sure to hold something against the back of the board you’re drilling through so you don’t splinter the wood where the drill bit exits. After this was done I tossed on a couple coats of wiping Polyurethane. As a nit picky aside… I should have oriented the grain on the side panels to flow in the same directions as the the front and back panels. It doesn’t really matter on this box, but if you’re making something nicer you’ll want to watch for it. I brought the box in to show the kids and told them what it was for. My older child immediately got into the box and demanded to be carried around in it. They then both became very interested in getting inside of it and turning it into a minivan. You see why it is overbuilt? Finally, the box was used for its real purpose. Later I found that it had another Lincoln Log related purpose. The building of the box took an afternoon and the finishing took a couple days due to waiting for stain and polyurethane to dry. 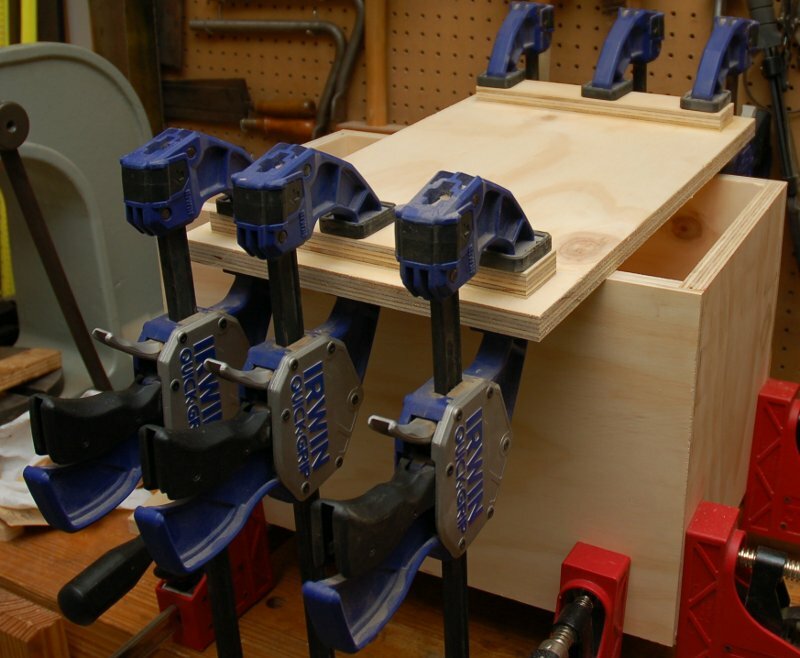 While I made use of a dado set and a moderate amount of clamps, this project could be completed without them. The rabbets could be cut with repeated passes with a regular saw blade. 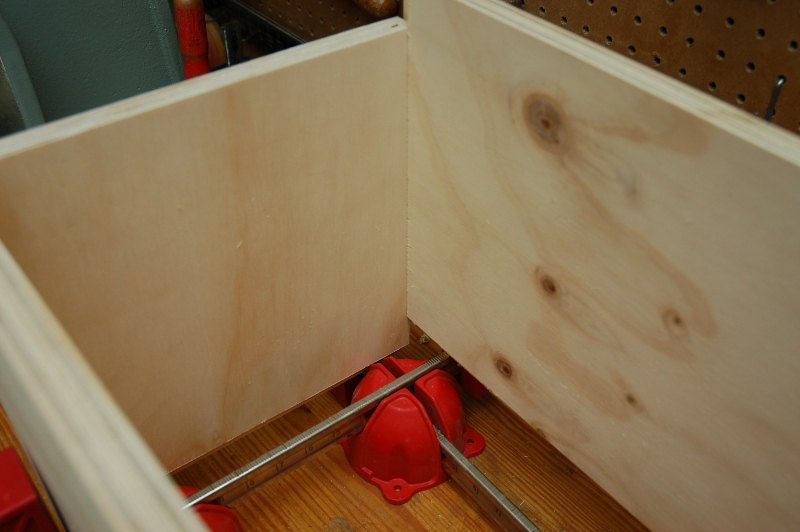 The corners could also be glued and screwed together instead of being glued and clamped. All in all, it’s a fairly easy project.